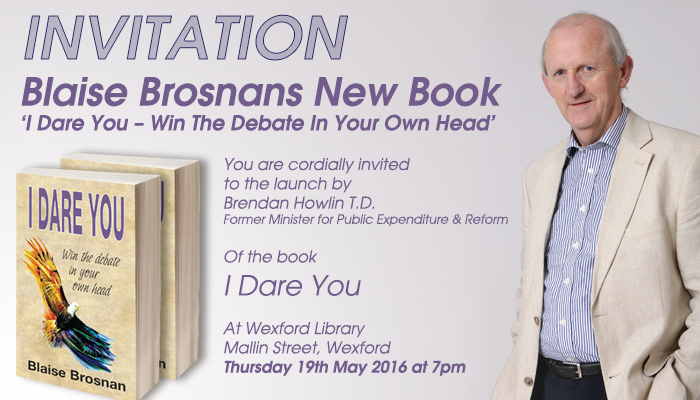 The Book Launch, which will take place at Wexford Library, Mallin Street on 19th May at 7pm, is set to be abuzz with avid followers, business clients, fans and readers. Former Minister for Public Expenditure and Reform, Brendan Howlin T.D. will assist in launching this highly anticipated book. This book is a must read blueprint for life. In this book Blaise teaches us that it is what we do with our opportunities and challenges that will ultimately count. 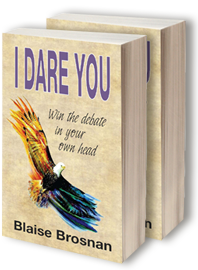 Blaise delivers 47 inspirational messages to help us overcome the obstacles and challenges that life throws our way and to turn those obstacles into situations that ultimately help us reach our optimum potential. This book is an absolute must read for business owners and entrepreneurs as well as those looking to overcome challenges. It teaches us to soar to our highest potential, achieving our dreams along the way. Blaise has advised and coached some 2000 + Irish and International business owners and executive management teams and is highly respected in his field. This launch is a great opportunity to meet and chat with the Author and Entrepreneur, not to mention, getting your hands on the first copies of his new book.